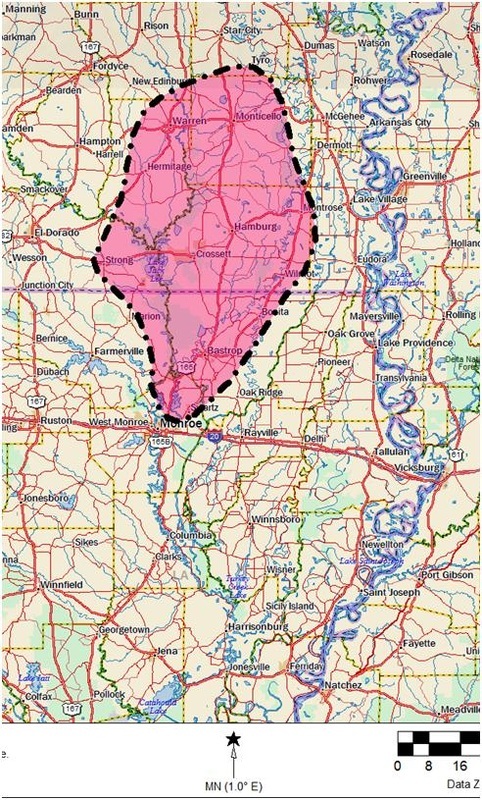 Within a 30 mile radius of Crossett, more than 60,000 people reside. Current employee data illustrates that this is certainly within the commuting range for residents of Southeast Arkansas and Northeast Louisiana. We are fortunate to have UAM College of Technology-Crossett, who willingly work with local industry to provide graduates with the skills needed for both employers and employees to succeed. The expansion of major manufacturing companies into Crossett has grown the community's labor shed from which companies are able to pull talent. This map was generated using zip codes of employees working at various businesses in Crossett. The tremendous labor shed demonstrated is the largest in Southeast Arkansas and is unusually large for a community the size of Crossett. The manufacturing and business base of Crossett drives companies from across the area to Crossett to serve their clients in our community. Crossett is working toward certification as an ACT Workready Community. ACT Workready Communities effort is another effort to further develop the local workforce. The ACT Workready Communities' program will allow Crossett to have independent, quantifiable information to demonstrate our workforce capabilities and provide information to local educators of gaps in the local workforce skills set needing to be addressed. ​CEDF has been intricately involved in the Arkansas FAME initiative. Crossett is very close to being recognized as the first FAME chapter in Arkansas. FAME is an apprenticeship program using the University of Arkansas at Monticello’s College of Technology-Crossett as the educational infrastructure and curriculum and pace of program driven by industry to develop science and technology skills in the local workforce.